Our programmes are designed to meet the needs of the ever-changing economy. Sriwebeo has tie up with many Companies for IT student Placements. Students are exposed to challenging industrial training opportunities which helps the students to excel and stand out in a competitive professional environment. 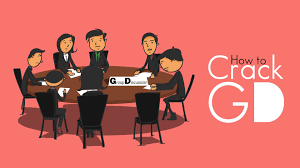 GD(Group Discussion)is one of the important section on interview process. Its an eliminating process in all companies.In the section shows your communication skills to other candidate.After completing the soft skills training, we start with training on basic Group Discussion skills. Then we conduct mock GDs and provide individual and group feedback which will help you to correct your mistakes and hone your skills. We conduct adequate Group Discussions to ensure that you gain confidence . Interview is the final leg of the job recruitment process and employees determine whether or not the applicant is suitable for the job role. Basically, the technical and soft skills of the candidate are tested during interview. Mock interviews are conducted by professionals from reputed companies. Feedback sessions will be conducted and suggestions for improvement will be provided, which can be incorporated in future interviews. Technical skills are important, but if your colleagues have same skills as you, your softskills differentiate your from them and help you to advance in career. No matter how good your technical skills are, if your soft skills are weak, you cannot succeed in your career. In our Web Design Training, we believe soft skills gives you an empowerment – the power to create and take advantage of opportunities. Our soft skills program is devised to scale you up in the following areas. Learn Soft skills with our market training at sriwebeo.